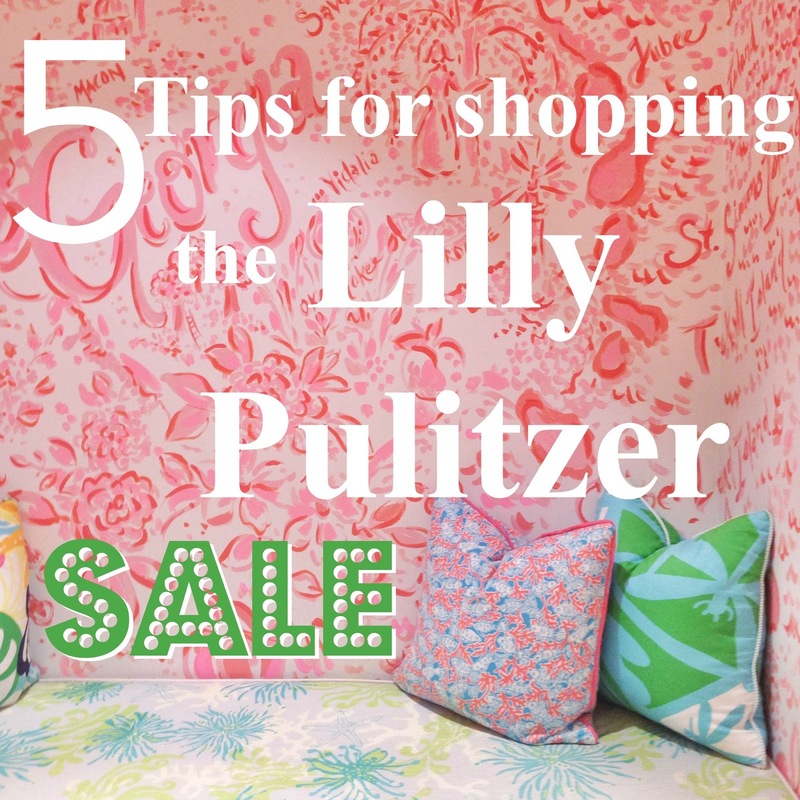 The best sales don't come around often and now it's time for the Lilly Pulitzer sale! Lilly rarely goes on sale, but when it does it's oh-so-good. The sale starts Monday (tomorrow) at 8am ET and I want to give you all some tips to be prepared for the big day. You ready? You can do that here. This is the first major step that you must do to get all the goodies you want. You just sign up, fill out your info and put your payment methods in. It's easy and just like every other place. Doing this will help insure a quick and easy checkout so you don't miss any items! Remember, you have to fully purchase your item, not just hold it. Things aren't reserved if they're in your bag! (Be sure to sign in the night before the sale -- the countdown will be on the site and won't let you login before everything goes up). Some of my favorite places to buy Lilly (other than the store) are Nordstrom, St. Bernard Sports, Zappos and Saks Fifth Ave. We don't know exactly what's going to be in the sale, but taking a look around to see what catches your eye never hurts! Who knows, you might even find some good sales of your own. We all get busy, I get it. Reminders are always a helpful way to stay on top of things. I usually set my alarm for 7:45, sign in to my account, and refresh for the next 15 minutes. You want to be on top of things because everything will go fast! When you get onto the site, refine your search to your sizes. I'm a 6 through and through in Lilly and because of that, I'll narrow down my size to all 6's and smalls. This is great because you know what they have in your size and it also cuts down on the time spent searching. Brilliant. -Checkout often. You will lose things in your bag! -Don't freak out when the site is down. If it's down for you, it's down for everyone else. -Remember this isn't life or death. Relax and have a fun time. -Follow Lilly on Instagram and Twitter for flash sales! Any other comments/tips? Leave them below! this is such a cute idea for a post. but seriously, do a hair tutorial !